Influenza-Like Illness management, HNE LHD, 2018 updated intranet web resource. Respiratory virus, Health Pathology, NSW testing advice (UTM kit and collection instructions), see this posting. Mid North-Coast LHD – please contact local resource person via usual LHD channels. Northern NSW LHD – please contact local resource person via usual LHD channels. Or contact your local Clinical Microbiologist – see About page on this blog for a guide to Who is Who. MRSA – methicillin-resistant Staphylococcus aureus ; quite diverse range of strains with different range of susceptibility to non-betalactam antibiotics. Still represents a major hazard for hospitalised patients – acquisition in hospital associated with significant increase in mortality at the 1 year point. Increasing spread of community strains that are often not multi-resistant. Declining hospital incidence across much of Australia thought to be related to improvements in healthcare staff hand hygiene. VRE – vancomycin-resistant enterococcus – usually Enterococcus faecium ; two subtypes – vanA (teicoplanin-resistant) and vanB (teicoplanin susceptible). Less capacity to cause infections than MRSA. Major issue for oncology , intensive care and surgical patients. Some community carriage. Cross-transmission in hospitals difficult to control currently – requires optimal hygiene (hands, personal, equipment and the patient environment) and control of antibiotic use. For a recent review, see this monograph. Extended-spectrum betalactamase (ESBL) -producing Enterobacteriaceae – these are organisms like E. coli or Klebsiella and related species (bowel coliforms) that have become resistant to ceftriaxone or ceftazidime (extended spectrum cephalosporins) due to production of special betalactamases. ESBL organisms have become highly prevalent in many countries , often in the community but also transmitting amongst patients in hospitals, especially when cephalosporins or other broad spectrum agents are overused. Only a proportion of colonised patients are identified because of lack of systematic screening. Most healthcare regions in Australia manage such patients with Standard Precautions unless a hospital outbreak has been identified. Carbapenemase-producing Enterobacteriaceae (CPE), formerly termed Carbapenem-resistant Enterobacteriaceae (CRE) – these are multi-resistant Gram negative organisms that have very few available treatment options. Increasing prevalence in Asia and parts of Europe (Spain, Greece, Italy) and USA. Relatively infrequent detection in Australia – travelers are at risk of carriage – hence the admission screening requirements recommended above in HNELHD which are based on the ACSQHC 2017 CPE Control Recommendations. 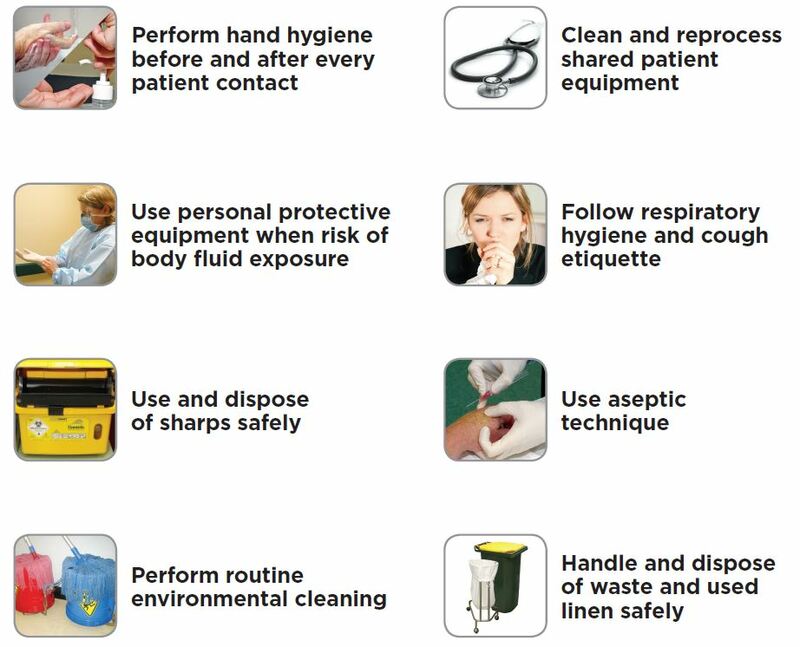 CPE colonised patients require isolation and practice of strict Contact Precautions. A very worrying international concern is the detection in China of the emergence of widespread colistin resistance in organisms such as CPE. The MCR-1 plasmid Lancet report; National Geographic story : Apocalypse Pig.